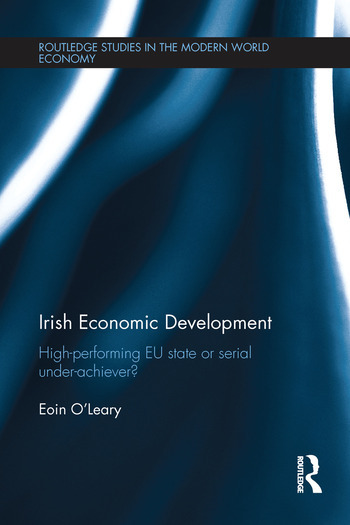 Irish Economic Development: High-performing EU State or Serial Under-achiever? This book offers a discerning narrative on the spectacular rise and fall of the so-called Celtic Tiger economy. It depicts Ireland as a micro-state with a unique reliance on foreign-assisted businesses, driven in part by a favourable taxation regime. It shows that rent-seeking by trades unions and property developers contributed to the fall since 2002. Although the country’s highly centralized government’s pre-disposition to lobbying has yielded international successes, it has also resulted in recurring self-inflicted crises since 1970. This volume shows how Ireland’s export-led growth is associated more with the attraction of foreign-assisted businesses than with the development of critical masses of internationally competitive indigenous businesses. Although the success of foreign-assisted businesses in the pharmaceutical, ICT and finance sectors has been influenced by tax advantages, many of these businesses have been involved in highly productive activity in Ireland over a number of decades. The problem of rent-seeking is shown to have undermined Irish competitiveness in the internationally traded and sheltered sectors. The Irish policy mind-set is shown to lean towards distribution rather than growth. While this has been advantageous for how ‘Ireland Inc.’ interacts with other governments and international businesses, it has also resulted in a failure to resist the destructive effects of capture by lobbies. In conclusion, this book considers future opportunities offered by the EU’s smart-specialization policy and future threats from increased international tax competition. It argues that unless Irish citizens and policymakers change deep-seated attitudes and mind-sets towards business development, the country’s performance for the next number of decades will more likely resemble serial under-achievement than that of a high-performing EU state. Eoin O’Leary is a Senior Lecturer in Economics at University College Cork, Republic of Ireland.